ORANGE COUNTY'S FIRST iDESIGN and iDesign 2.0! Why have you not had LASIK Eye Surgery in Orange County? 1. You are concerned about the safety of the procedure. Frankly, so are we. This is why the Orange County LASIK Institute uses all laser LASIK and CustomVue technology. All laser and custom LASIK technology dramatically improves the safety of the procedure. 2. You wanted to wait for the best LASIK technology and to see good results. Excellent decision! The LASIK technology we have today is far superior to what we had years ago. The Orange County and Irvine LASIK Institute uses the same technology used to treat NASA pilots and naval aviators. 3. You wanted better LASIK Plans. The Orange County LASIK Institute has a lifetime enhancement plan. LASIK does not stop our eyes from aging and this plan allows for possible enhancements in the future. 4. You are concerned about the recovery and about possible pain. The Orange County LASIK Institute will do everything to make your experience comfortable. Many of Dr. Pham's patients report zero to mild discomfort. You can go back to work the day after your LASIK Surgery at the Orange County LASIK Institute! 5. You are concerned you cannot afford LASIK in Irvine. Price should not be the only issue when considering a LASIK practice. The Orange County LASIK Institute offers competitive pricing and financing options. With financing your payments can be as low as $49 a month. All LASER LASIK is now approved for military members. Professional athletes have had it done as well. These individuals are under constant physical stress and their LASIK flaps have endured well. In addition, flaps made with the Intralase are much stronger than flaps made with the mechanical microkeratome. 7. You have not called us at the Orange County LASIK Institute. The Orange county LASIK Institute has a lifetime enhancement plan at our Orange and Irvine LASIK center. We are confident in our LASIK surgeon and our advanced LASIK technology. We strive to make LASIK surgery a fun, exciting, and life-changing event for you. "At the Orange Count LASIK Institute, your vision is our passion. We understand that having LASIK surgery is a life-changing event. We promise to provide you the best advances in LASIK eye surgery and the best customer service. We pride ourselves in treating our patients like family and providing the most outstanding results in LASIK surgery. We care for every patient as we would a member of our own family. We hope to make the process informative, exciting, and fun. Thank you for visiting our LASIK website and welcome to our practice. We look forward to meeting you soon." CLICK BELOW FOR OUR LASIK PATIENT REVIEWS! 1. We Treat You Like Family - Once a Patient, Always a Friend. At the Orange County LASIK Surgery Institute, we treat our patients like family. This is the fundamental principle of our LASIK practice, and it guides us in all that we do. Each time a patient joins our LASIK patient family, we imagine that this person is a loved mother, father, brother, sister, relative, or close friend. We use this principle to select which LASIK eye surgery technology to use. After all, you would only want the best LASIK technology and the best LASIK results for your family and friends! We treat all of our LASIK and eye care patients with compassion, consideration, and respect. We understand that the thought of having LASIK surgery may make some people concerned or nervous. We will do everything in our power to make the LASIK and laser eye surgery process as educational and comfortable as possible. Dr. Pham and the staff at the Orange County LASIK Institute want your visit and experience to be among the best you have ever had. Dr. Pham and the Orange County LASIK Institute have the highest standards for the care of your eyes. We will never compromise or take any shortcuts for your Orange County and Irvine LASIK and laser eye surgery. LASIK and laser eye surgery is constantly advancing, and we are on the cutting edge of LASIK technology. 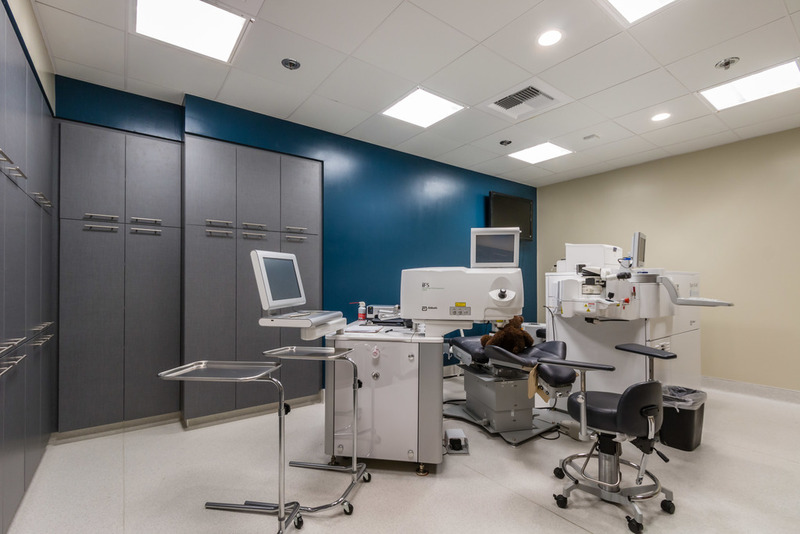 While some Orange County LASIK Eye centers still use a mechanical keratome or noncustom laser eye technology, we provide our patients with custom and all laser LASIK eye surgery technology. We measure our success by how well our patients see and not what our profit margins are. We have recently invested in orange county's newest generation and upgraded iLASIK system the iDesign Advanced Custom Wavefront System which helps to give us more treatment options for your prescription. At the Orange County LASIK Eye Institute, we monitor our results. We believe that our results are among the best in Orange County, if not the nation. Our exceptional results is a direct product of the fact that Dr. Pham does all of your testing himself. If you would like to learn more about our Orange County LASIK results, we will be happy to provide them to you. 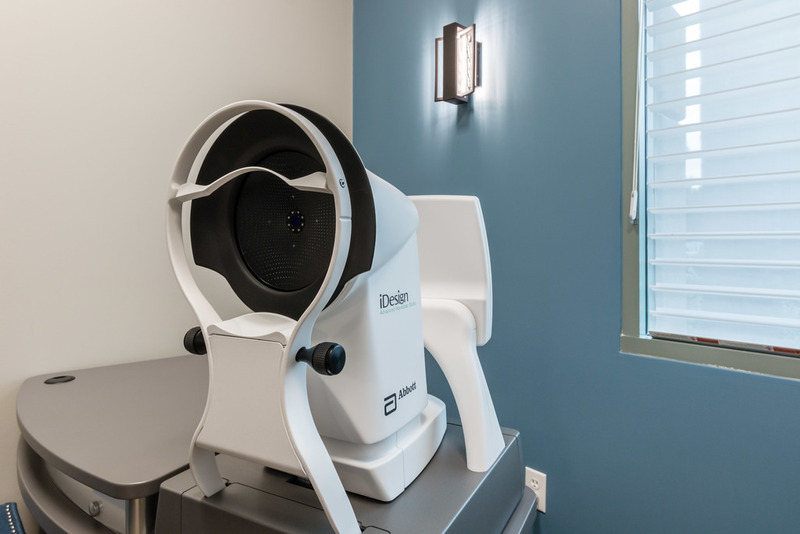 We constantly monitor all of our LASIK eye surgery results for our Orange County, Los Angeles, Irvine, Huntington Beach, and Newport LASIK patients. 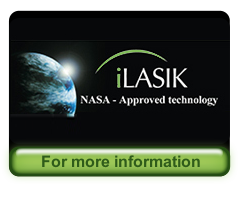 We also use iLASIK, the most advanced LASIK used on NASA astronauts and pilots. Introducing Orange County's First iDesign Advanced Custom LASIK! What does Orange County's Newest iLASIK upgrade iDesign offer? Results are often limited by the LASIK technology that is available. At the Orange County Eye and LASIK Institute, we strive to provide you the latest and most effective treatments for your eye care needs. We customize and use all types of laser LASIK technology. We believe in using Advanced Custom LASIK with Iris Registration using the VISX Star S4 CustomVue Laser. We also use the safest and most accurate "Bladeless and All Laser LASIK" method with the Intralase laser for our Orange County and Irvine LASIK patients. The Orange County LASIK Institute uses the same lasers that are used for Navy and Air Force Pilots! We believe that by using the best LASIK technology for your LASIK surgery in Orange County, we will provide you with the best LASIK results. 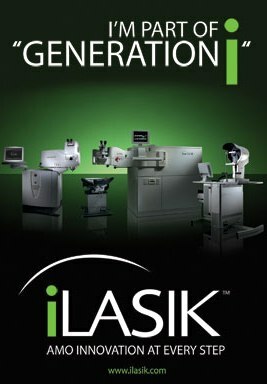 The Orange County LASIK Institute offers Irvine's first and newest fifth generation iLASIK surgery. Most other centers are using older or fourth generation technology. With the newest and best upgraded lasers, we are able to provide even safer and more advanced LASIK eye surgery to our valued patient family. 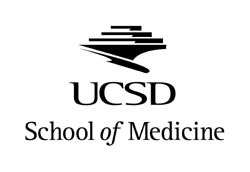 The Orange County Institute is proud to be selected to have one of the first upgraded iDesign 2.0 systems. It is the first system to have topographically custom wavefront guided treatments. In our opinion, better technology leads to better results! 4. First Class Service - We are here to serve! 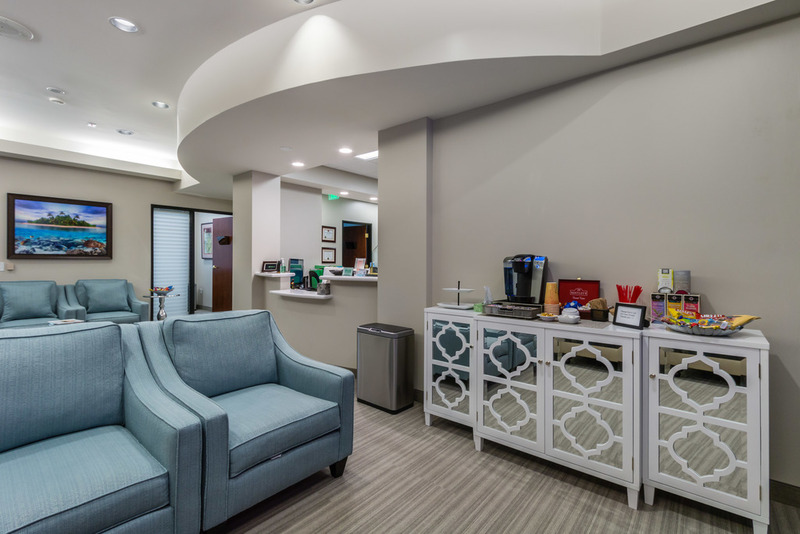 Welcome to our Irvine LASIK Office! Every member of our staff is committed to your comfort and care. We will do everything we can to accommodate you and your needs. We realize that the thought of having LASIK eye surgery can be frightening for many people. Our Orange County LASIK Institute staff is here to make the procedure as painless and comfortable as possible. We are always available to address every concern and answer every question. 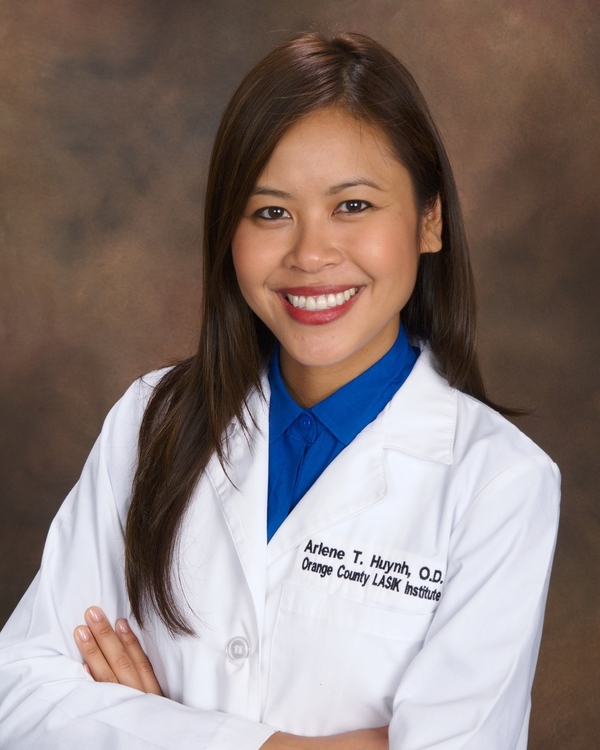 Dr. Tony Pham is a skilled and experienced Orange County and Los Angeles LASIK Eye Surgeon. Dr. Pham believes that every surgery is the most important surgery of the day. The Orange County LASIK Institute believes that every surgery should be as perfect as possible and a work of art. We often see advertising for Orange County LASIK practices that boast the "hundreds of thousands" of LASIK eye surgeries that their practice has performed. For us, we are more proud of the individual attention and detail that we give our LASIK patients and our results. With the Orange County LASIK Institute, every surgery is treated as if it is the only surgery of the day. We realize that the operation may scare you. We promise to do everything in our power to put you at ease and make your LASIK surgery as comfortable as possible. We are not a Orange County and Irvine LASIK eye factory. Our philosophy is the opposite; we will never rush your LASIK consultation or surgery at the Orange County LASIK Institute. Just because McDonald's makes the most hamburgers does not mean it makes the best hamburgers! Safety is our main priority for your Orange County LASIK eye surgery. The all-laser LASIK method with the Intralase laser has greatly improved the safety of the flap creation for your LASIK Surgery at the Orange County LASIK Institute. Instead of using a razor blade (microkeratome), the Intralase uses a laser to safely create the LASIK flap. In addition, being able to use a laser to make the flap allows your LASIK surgeon to create a thinner flap. The flaps made with the Intralase heal faster, are stronger, and have less dryness than LASIK flaps made with the microkeratome. 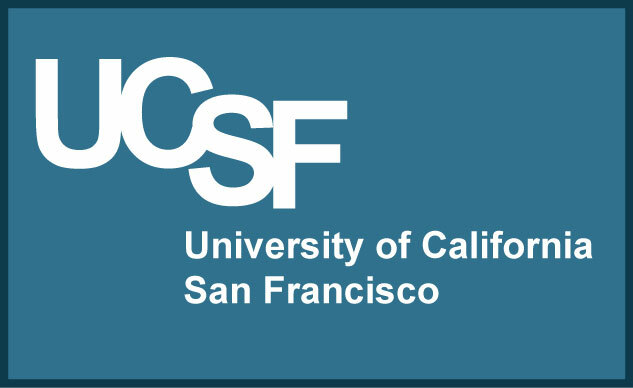 Every eye has a unique wavefront map or "fingerprint." When Dr. Pham at the Orange County LASIK Surgery Institute does your LASIK, he uses wavefront mapping to eliminate all of your eye's unique aberrations and irregularities. Your eye's individual "fingerprint" is mapped out using wavefront technology. Moreover, Dr. Pham uses iris registration in order to provide advanced custom treatments for his laser eye surgery patients. Iris registration compensates for any rotation that your eyes may make during your LASIK surgery. 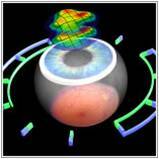 This process registers the iris and makes sure that the treatment is completely aligned. Dr. Tony Pham of the Orange County LASIK and Laser Eye Surgery Institute is a certified iLASIK surgeon. 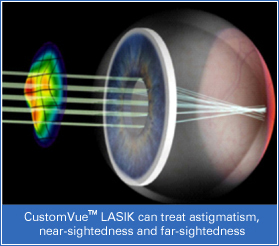 iLASIK is the highest level of LASIK surgery and laser vision correction. It combines both all laser Intralase LASIK and custom LASIK with iris registration. The Orange County LASIK Surgery Institute is proud to offer you iLASIK surgery. The Orange County LASIK Institute is proud to offer LASIK consultations for your pre and postoperative LASIK care five days a week. 9. We Check Your LASIK Tests Three Times Before Your LASIK Surgery - Check Three Times, Operate Once! Our goal is to bring you the best LASIK and laser eye surgery results the first time. By personally checking your eyes and checking your refraction three times prior to your LASIK eye surgery at the Orange County LASIK Institute, we hope to decrease your chance of needing enhancement surgery to less than 1%. The national enhancement rates for LASIK surgeons is as high as 10%. At the Orange County LASIK Institute, we are able to have among the lowest enhancement rates in the nation. LASIK should not only be for the rich and famous. LASIK eye surgery has helped millions of people. At the Orange County LASIK Institute, it is our goal to make LASIK eye surgery a possibility for you. Our LASIK counselors will help you with our financing programs. These programs make the cost of LASIK surgery reasonable without compromising the quality of care. We offer different 0% financing options. We have approved over 95% of our patients. We are familiar with our competitor's rates and we believe that we offer the best rates for the best LASIK technology. It is important for a LASIK or laser vision correction practice to offer you the best treatment options to treat your nearsightedness, farsightedness, and astigmatism. We focus all of our energy to bring you the highest level of care in laser vision. By specializing in just LASIK and Custom PRK, we are able to devote our resources to getting the newest advancements in iLASIK. At the Orange County LASIK Institute, we pride ourselves in being able to identify which treatment best suits your needs and being able to offer it for you. The Orange County LASIK Institute offers iDesign LASIK, custom PRK, advanced surface ablation, bladeless LASIK, and Custom iLASIK. These are just some of the technologies in which our Orange County laser eye surgeon has expertise in. Dr. Tony Pham would be happy to discuss which treatment options are best for you. Your time is valuable and precious. Nobody wants to spend their whole day at their LASIK eye surgeon's office. The Orange County LASIK Surgery Institute will do everything to accommodate you and your schedule. However, if you ever have to wait more than 10 minutes due to an emergency patient, we promise to make it up to you! 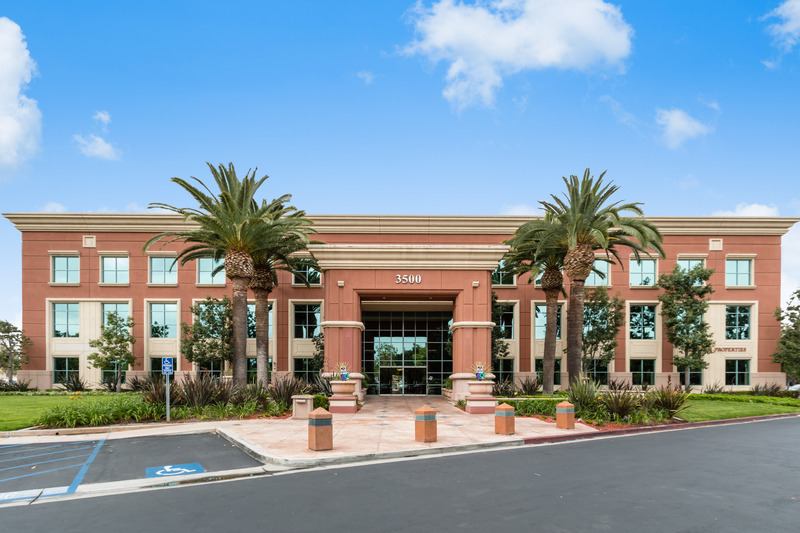 The Orange County LASIK Institute is conveniently located in the heart of Irvine less than one mile from the Irvine Spectrum. We are near the 405, 5, 55, 241, and 133 freeways. Whether you are coming from East, West, North, or South Orange County we should be a short drive for you. 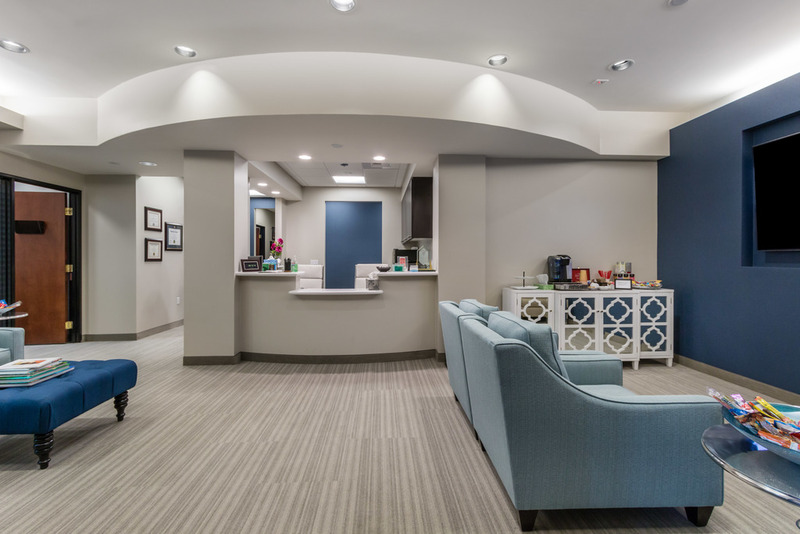 We also offer convenient and flexible LASIK consultation office hours to help you avoid traffic times. The Orange County LASIK Institute is close to the Huntington Beach, Irvine, Newport Beach, and greater Orange County areas. We are also a convenient drive for our Los Angeles LASIK patients. Please let us know if you are coming from Los Angeles for your LASIK and laser eye surgery so that we can find a convenient time available for you that will minimize your travel time and to help you avoid Los Angeles traffic. There are no hidden fees at the Orange County LASIK and Laser Eye Surgery Institute. We want your LASIK surgery in Orange County and Irvine to be a stress free and comfortable experience. Your initial fee includes all care related to your LASIK surgery for 1 year and longer. This includes punctal plugs and enhancements. The most common side effect after LASIK surgery at the Orange County LASIK Institute is dryness. Most people heal by their third to six months after their LASIK surgery. Some practices can charge as much as $250 dollars for each punctal plug. Since you may need up to 4 punctal plugs, this can cost as much as $1000. At the Orange County LASIK Surgery Institute, there are no additional fees for punctal plugs or dry eye treatments. The people who work at the Orange County Eye, Cataract, and LASIK Institute are committed to improving people's vision. 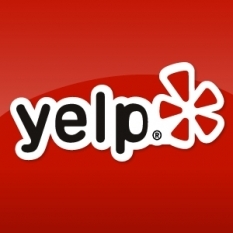 We receive raging reviews from our patients for our staff members. We develop relationships with our community and our patients. Our patients frequently know all of our team members' names. Each member of our team is here to assist you in the care of your eyes. Dr. Pham and the staff at the Orange County LASIK Institute will never rush your LASIK consultation or examination. We recognize that LASIK surgery may be a very scary process for you and that you may be very sensitive about your eyes. We only have one speed at our office - your speed! We will take the time to answer your LASIK surgery questions and address your concerns. We want your LASIK surgery in Orange County to be as comfortable as possible. We recognize the honor we have in improving your vision and appreciate the opportunity our patients have given us. Dr. Tony Pham is the type of LASIK and laser eye surgeon that believes in checking three times and performing surgery once. Dr. Pham will triple-check your LASIK tests and measurements personally. He wants and strives for your personal best vision. He devotes his life to improving others' quality of life by improving their vision. Please call or e-mail us now to schedule your free Orange County LASIK consultation. We believe that one of the most important variables to success in LASIK is accurate screening to see if you are a LASIK candidate. Dr. Pham is the medical director of the Orange County LASIK Institute and feels that the best surgeries are the ones that he has turned down. In running a successful practice, we believe that ethics is the most important thing. There are many people who should not have LASIK and LASIK is an operation with risks. 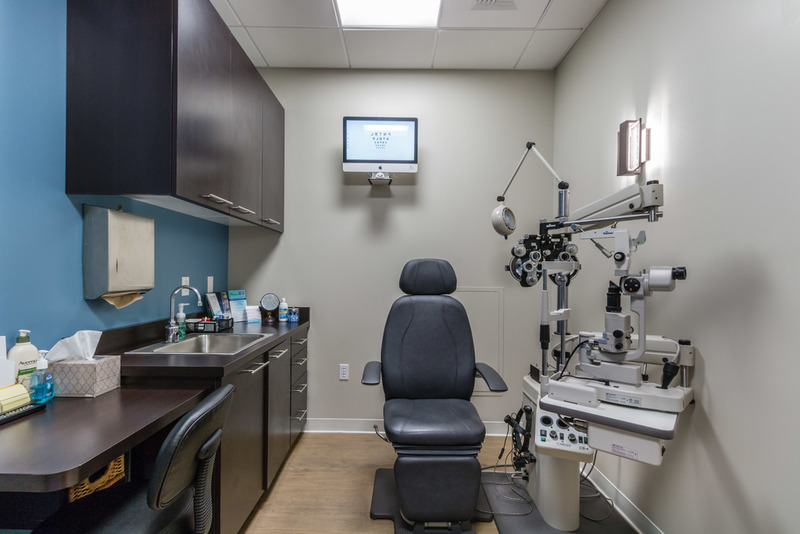 Some of the important things that we screen you for include keratoconus (corneal disease), pellucid marginal degeneration (corneal disease), dry eyes, glaucoma, cataract, realistic expectations, presbyopia, corneal scars, and other ophthalmic conditions. Our Orange County LASIK practice believes in giving you as much information as possible. LASIK is an elective surgery and it is extremely important that you know about possible side effects. The possible side effects and risks include dry eyes, glare/halo, loss of vision, flap complications, infection, and inflammation. It is impossible for any website to give you all your unique risks and benefits so it is important to get a free LASIK consultation. Although technology has revolutionized all laser LASIK, it is important for you to discuss the risks, benefits, and alternatives of laser vision correction with your Orange County LASIK doctor. Every patient has unique eyes, and not everyone in Orange County, Huntington Beach, Newport Beach, and Los Angeles is a candidate for LASIK surgery. It is important to have an evaluation with your Orange County LASIK and Irvine Institute LASIK surgeon to see if you are a candidate. Healthy eyes without ocular disease, realistic expectations, and informed decisions are essential for a successful LASIK operation in Orange County. Complications are rare, but it is important for you to discuss your risks of infection, inflammation, loss of vision, keratoconus, glare, or dryness with your LASIK Surgeon. It is critical for you to choose the best Orange County LASIK surgeon for your LASIK procedure to decrease your chances of having any complications or problems with your LASIK surgery procedure. If you live in Orange County, Irvine, Huntington Beach, Newport Beach, Los Angeles, or Mission Viejo and would like to get LASIK eye surgery information, please contact us. Please call us now to schedule a free LASIK eye surgery consultation at the Orange County LASIK Institute. Free Irvine and Orange County LASIK eye surgery consultations do not apply to people who have had LASIK, PRK, RK, or other eye surgeries done with another LASIK center or LASIK surgeon. In addition, free consultations do not apply to patients above the age of 55 because these patients may benefit from advanced lens surgery covered by insurance. Please call us for more details. The Orange County Eye, Cataract, and LASIK Institute a leading institute for eye care and laser eye surgery in Orange County. 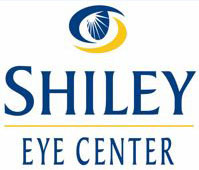 We strive to offer the best eye care in Orange County. We specialize in LASIK surgery, cataract surgery, eye surgery, and the medical or surgical treatment of various eye diseases. 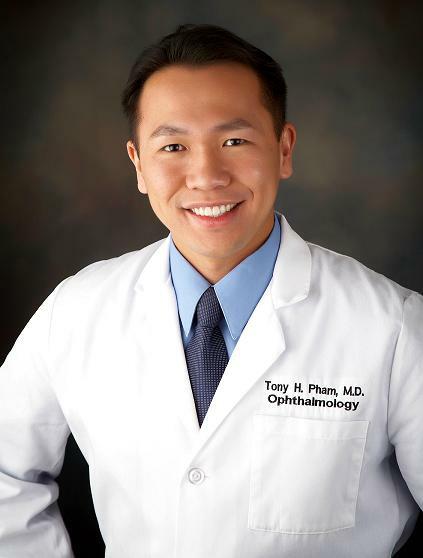 Dr. Tony Pham is a surgeon and eye physician certified by the American Board of Ophthalmology. 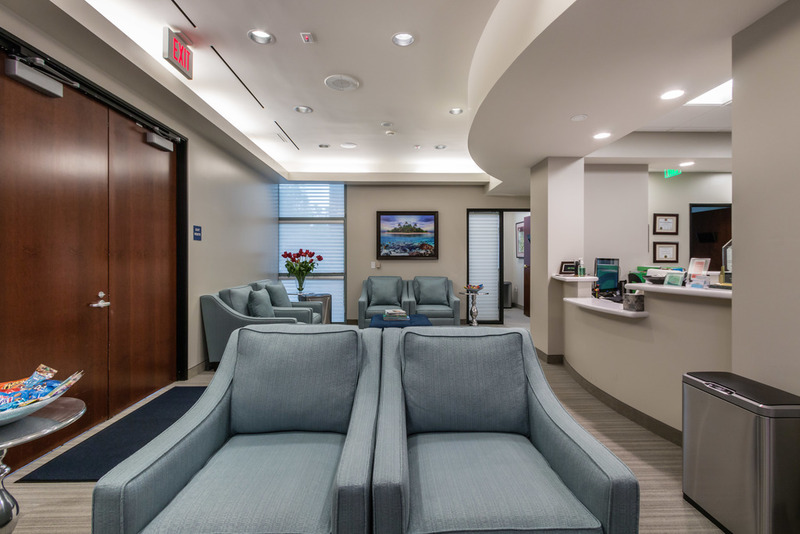 Our Orange County practice uses the best technology in cataract and LASIK eye surgery. We offer bladeless and custom (wavefront) LASIK surgery. We also offer advanced cataract surgery options including wavefront intraocular lenses, multifocal lenses, and the toric astigmatism correcting intraocular lens for cataract surgery. The Orange County Eye Care, Cataract, and LASIK Institute provides comprehensive eye care to Orange County including LASIK surgery, cataract surgery, general eye exams, glaucoma treatment, diabetic retinal treatments, eyelid surgery, Rezoom and Restor Multifocal lenses, bladeless LASIK, custom LASIK, PRK, implantable contact lenses, dry eye treatment, macular degeneration treatment, treatment of styes, treatment of eye infections, removal of corneal foreign bodies, pterygium surgery, and eye glass prescriptions in Orange County. The Orange County Eye and LASIK Surgery Institute is dedicated to the best LASIK eye surgery and eye care in Orange County, CA. 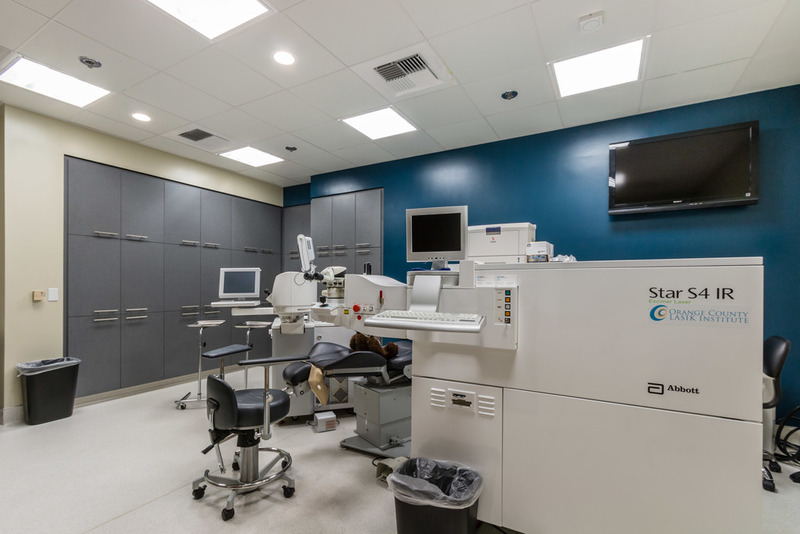 The Orange County Eye and LASIK Surgery Institute offers all laser LASIK, custom LASIK PRK, cataract surgery, and advanced eye care for Orange County, Irvine, Newport Beach, Huntington Beach, and Costa Mesa Patients. Please call (949)450-2020 for a free LASIK surgery consultation.